Standard – loaded with processed new Winchester 308 Winchester brass with either 235-grain Speer Hot Cor or the 270-grain Speer BTSP. 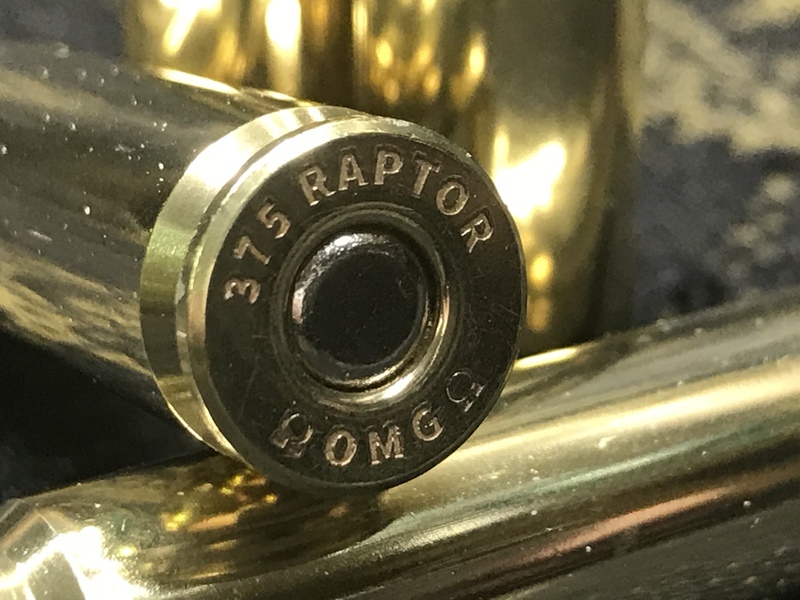 Premium – loaded with new OMG 375 RAPTOR head stamp brass for customers who will be traveling internationally and require 375 RAPTOR head stamped brass. Loads offered include 250-grain Barnes Tipped TSX or the 260-grain Nosler Accubond bullet. 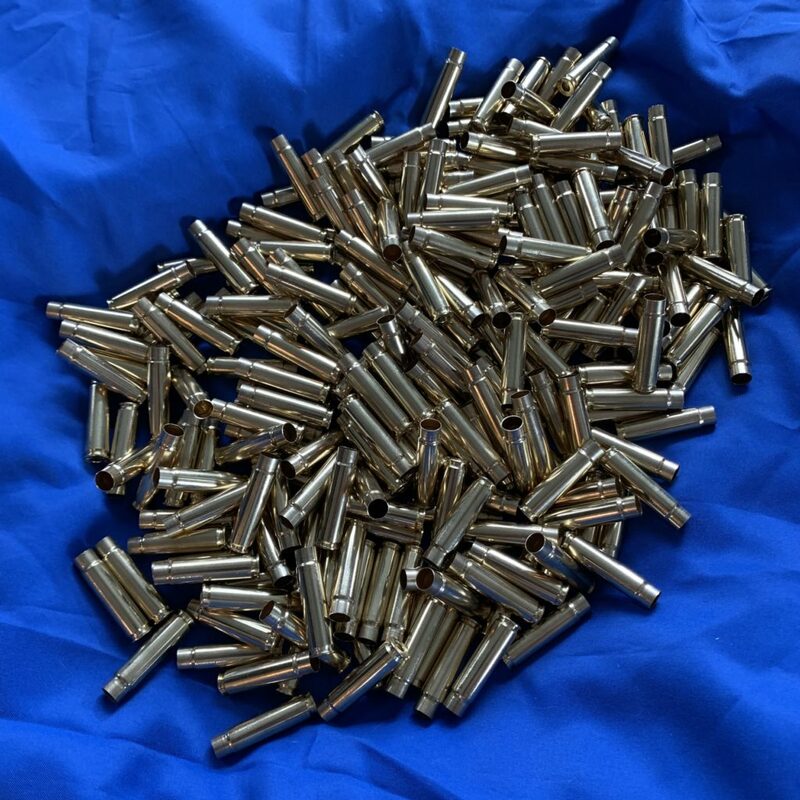 Superior is preparing a couple of regular offerings of production 375 RAPTOR ammunition and will custom load ammunition with your desired bullet. Omega Rifles has contracted with Lee Precision to have production 375 RAPTOR die sets and offer them for $49.00 for a 2 die set. The engineering specifications were done to be sure that whether you are working with Winchester, Starline or Lake City Brass, these dies will properly resize your brass and all you to seat the hunting bullets. CH4D makes a full selection of dies including trim dies for the Dillon Power Trimmer. March 25, 2019 – CH4RD has dies in stock as they just finished a production run of dies. Whidden Gun Works produces match style dies on an individual order basis. These are great if you want to use bushings to adjust for neck thickness and want a micrometer adjustable seating die. Note – The 375 RAPTOR uses a standard LR308 barrel extension. X-Caliber Barrels makes a complete range of 375 RAPTOR barrels from 10.75 inches up to 24 inches. 375 RAPTOR Special Barrels – Want to buy a barrel blank and have it chambered and fitted? Omega Rifles is offering a $995 complete upper ready to go. They also sell dies, brass and ammo. The Browning BLR is considered the strongest lever action made and Medesha Firearms now offers Browning BLR Takedown Barrel Sets and Browning BLR custom work that will let you have multiple quick change barrels on a Browning BLR Takedown ranging from 22-250 to the 375 RAPTOR and 45 RAPTOR. They are very simple to do yourself, but if you want someone to modify magazines for you, Scott Medesha will modify PMAG’s in any capacity you supply. If you want an upper receiver system that you can quick change barrels in less than 2 minutes, look at the DRD Tactical U762. It is what we use for a lot of development work being able to switch from an SBR to longer rifle barrels at the range. 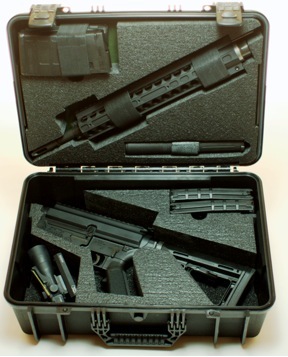 As shown in the following photo, a complete rifle with an extra barrel fits in a case the size of camera case. 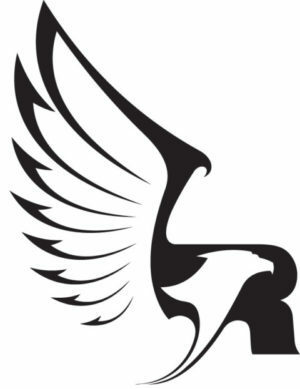 Note – We are happy to list companies that make 375 RAPTOR products at no charge. However, we reserve the right to not list or remove any company who we learn is unresponsive to customers or has quality issues with their products.